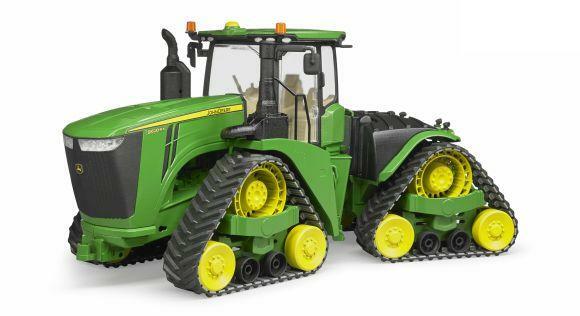 The massive, seed-green model with its robust and stable metal chassis extends its boom variably, the lower part is made of metal, the upper part of plastic. 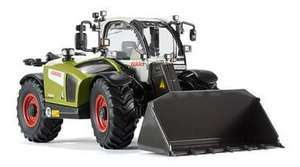 The brand-compliant Claas model, naturally in seed green, whose prototype is five metres long and three metres wide, makes a compact impression in the 32-fold miniaturization and demonstrates agility. 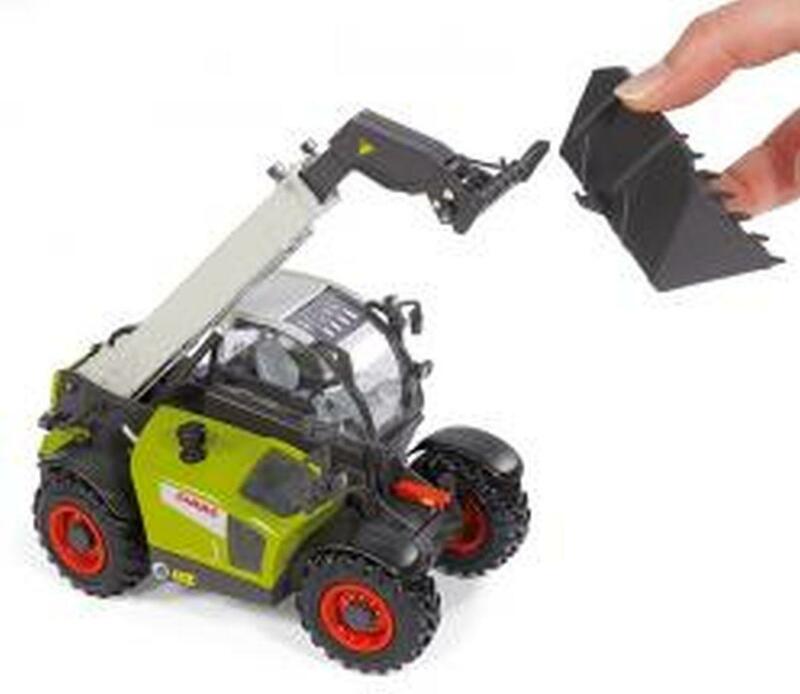 WIKING has miniaturized the Scorpion 7044, whose extended ?loading stinger? in the original can hoist no less than 4.4 tons. Moving features make a lot of sense especially for the miniaturization of a telescopic loader. Thus the doors are divided for opening ? the upper door can be swiveled by 180 degrees, the lower part by 90 degrees. 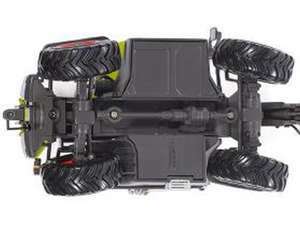 The engine hood can likewise be opened and allows you to take a peek at the engine underneath. The lift arm is fully movable and designed true to the prototype as a telescopic device, the entire tool support can be swiveled by 200 degrees. 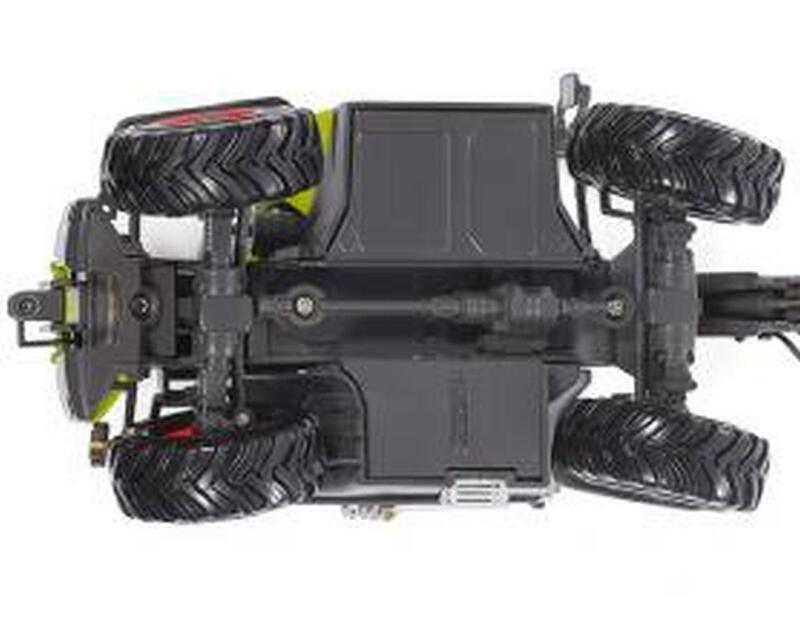 Steering is controlled via both axles, the rear axle has a pendular suspension, so that the turning circle of the model is impressively small. The tool receptacles at the rear can also be opened on the right and left side.